SOLD OUT EVENT: Thanks for your interest. 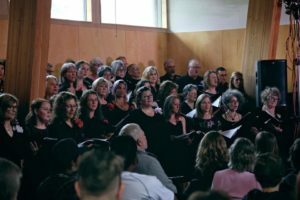 December concert with the Tofino & Ucluelet Choirs. 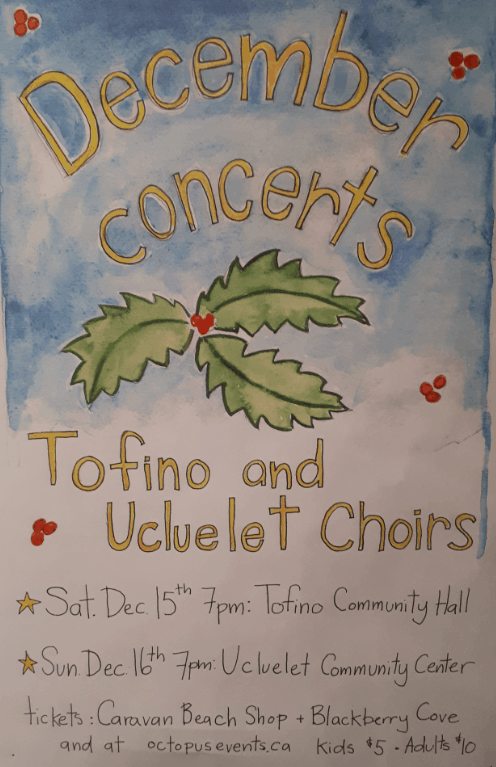 It’s that magical time of the year and the Tofino and Ucluelet Choirs are so excited to present their new concert that will make your heart as warm as hot cocoa. 70 singers, including the Pacific Rim Youth Choir, will sing a mix of pop and Christmas songs accompanied by a live band. This is one of the best community gatherings of season. Aretha Franklin, Fleet Foxes, Crosby Stills Nash and Young, John Lennon and Donny Hathaway are some of the artists the choirs will be honouring! Come gather at the Tofino Community Hall for this amazing multi generation evening under the direction of Sophie L’Homme. Tickets at Caravan Beach Shop or through your favorite choir singer! Kids $5 and adults $10. SOLD OUT EVENT: Thanks for your interest.